From a dynamic system point of view, bat locomotion stands out among other forms of flight. During a large part of bat wingbeat cycle the moving body is not in a static equilibrium. This is in sharp contrast to what we observe in other simpler forms of flight such as insects, which stay at their static equilibrium. 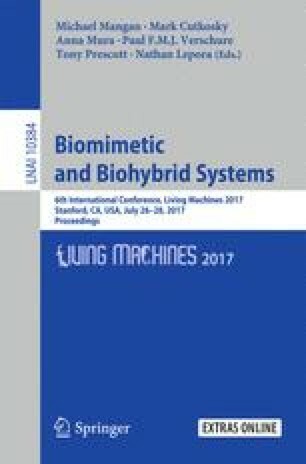 Encouraged by biological examinations that have revealed bats exhibit periodic and stable limit cycles, this work demonstrates that one effective approach to stabilize articulated flying robots with bat morphology is locating feasible limit cycles for these robots; then, designing controllers that retain the closed-loop system trajectories within a bounded neighborhood of the designed periodic orbits. This control design paradigm has been evaluated in practice on a recently developed bio-inspired robot called Bat Bot (B2).